What Is Best For The Cat – Scented or Unscented Litter? 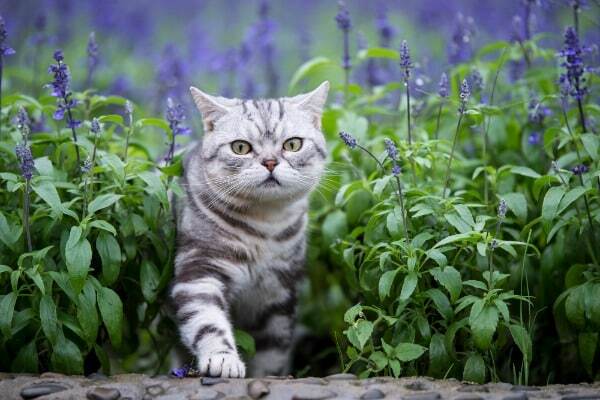 » What Is Best For The Cat – Scented or Unscented Litter? What Is Best For The Cat? Scented or unscented litter? Does it really make any difference which one we use? 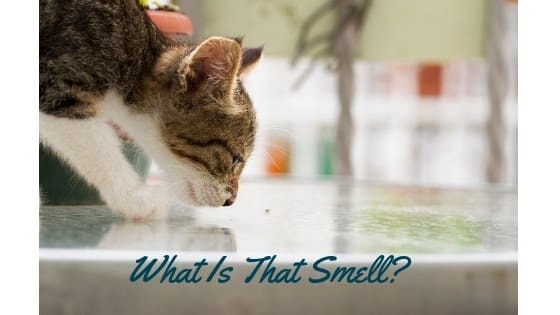 Cats have a far keener sense of smell than ​we do, so it should come as no surprise that cats are sensitive to smells and that includes scented litter. What is best for the cat is an unscented litter. As the carers of our domesticated cats, it is ​up to us to provide an environment that is similar to their natural environment, as much as possible and using common sense - I can't see my cat giving up his position in front of the heater anytime soon. ​In the litter stakes an unscented litter wins hands down. What If I Like Scented Litter? Which Unscented Litter Is The Best? If you are already using a scented litter and you and your cat are happy with that, that’s perfectly fine. My nose in on high alert! An unscented clumping litter ticks all the boxes with the added ​bonus being that clumping litters are easier to scoop​. ​Litter box problems are common, as in cats avoiding the litter box altogether and just as a smelly dirty litter box will put the cat off using the box, one that is overly fragranced may do the same thing​. 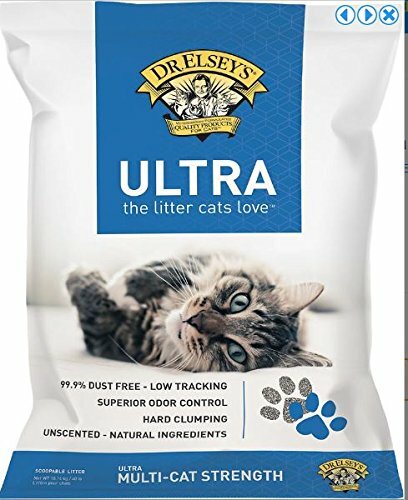 ​We recommend Dr Elsey's Precious Cat Ultra Clumping Cat Litter. Why do we recommend this litter? Because it is unscented and is a clumping litter so ​two ticks there. This litter clumps extremely well. It is a low dust litter, even when pouring it into the litter box and as an added bonus it has very little tracking. No wonder it is so popular. ​There are litters that​ neutralize odors using ​bio enzymatic odor control. ​Artificial fragrances are going to ​have a chemical base, so if it is your aim to use natural products you will want to avoid artificially fragranced litters. ​I seem to be one of those people who can't tolerate some artificial fragrances so the answer is simple - unscented litter. ​* Change the litter often​. ​Your nose will be the judge of this or ​else just set up a regular cleaning the litter box schedule. * Try putting some baking so​​​​​da​ ​in the bottom of the box. Did you know that it is also a ​ method of controlling refrigerator odors - just leave an open box in the fridge. ​Toss the baking soda when it has absorbed the fridge odors. I have done this many times and it works. * Baking soda will not affect your cat in any way. Sprinkle generously into the box when adding litter. * Give the litter tray a good clean when needed ​and remember to give it a good rinse to get rid of any residual product and fragrance from the cleaning agent. * Think about replacing the litter box. As with other plastic products about the home, eventually we have to trade them in (read as ditch) and buy new ones. 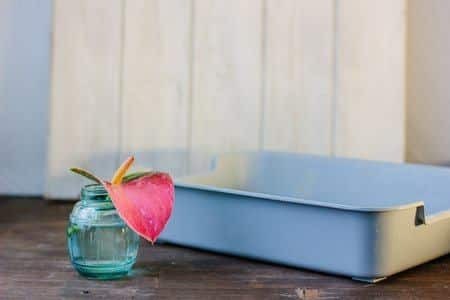 * If natural products are on your radar, you may want to try these disposable litter boxes. They are safe for landfill, made from recycled materials and won't shred or tear. ​There's more in depth, detailed information here about how to look after a litter box. Previous Post How To Identify The Best Self Cleaning Litter Box Next Post I Have A New Leather Couch And Cats. Is This Going To Be A Problem?